Abstract: Life is not lack of beauty, lacking the eyes to find beauty. Have you found the beauty around you? If not, allow Airwheel R8 triangle frame electric bike to help you. At present, the life full of pressure and a lot of people think the beauty is hard to find. They often say they are too busy to enjoy the nature. Rodin said: life is not lack of beauty, but a lack of eyes to find beauty. As long as we keep a heart of curiosity with a pair of discovery of beautiful eyes, we will find life is surrounded by love. Have you found the beauty around you? If not, allow Airwheel R8 to help you. R8 electric mountain bike was one of new products in 2017 and it has received many accolades. Airwheel R8 electric moped bike enables riders to enjoy a flexible riding experience. On the contrary, a car driver can never do that. When it comes to speed, many would think such a mini e bike can hardly reach a satisfying speed. However, aligned with the concept of individual transport, R8 is able to reach a speed up to 20 km per hour, enough for daily travelling. Meanwhile, R8 has different ride modes to make your riding experience more interesting. You can set ride mode and speed via the smartphone app, it offers speed limit protection to riders. When riders hit the restricted speed, your smartphone will give you a reminder to warn the riders of latent risk. 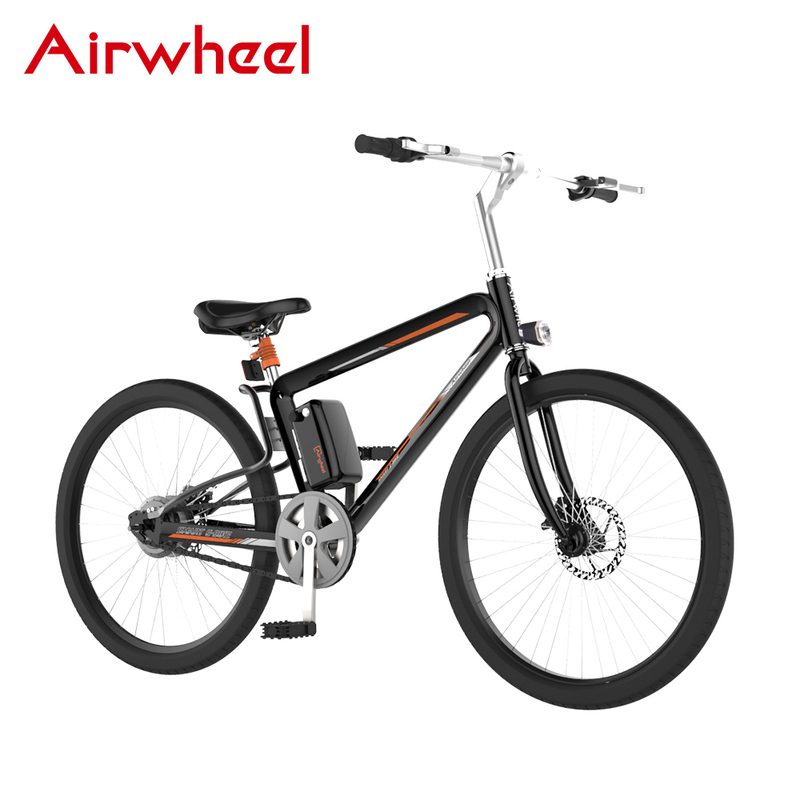 Unlike other models in Airwheel, R8 triangle frame electric bike is equipped with durable natural 26 inch tires so that R8 can handle any bumps or uneven roads. The branded wheels with special tread are nonslip and have excellent grip performance, allowing R8 to conquer various road conditions. Its car-level li-ion battery guarantees sufficient power supply. Combined with the brushless motor which is instrumental in its excellent traffic ability, the safety of riders will be well ensured. In a word, Airwheel R8 is such a fast and agile personal transport and explore the beauty around you with R8. Keep curious and keep finding beauty. Previous：Airwheel R6 Folding Smart Electric Bike Could Revolutionize Our Daily Travel.